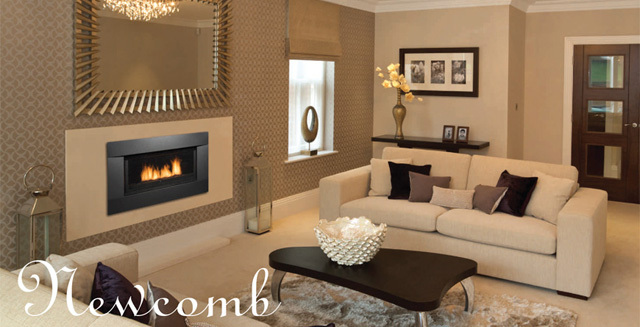 Sierra Flame ’s Contemporary Direct Vent Linear gas fireplace is stunning in any space. The Newcomb has a true clean face design available in either Standard or Deluxe systems. Two optional surrounds are available to compliment any decor. This unit comes standard with contemporary Black Porcelain panels, black reflective glass and rocks.